And with any luck I’ll be back in business before you know it! After an evening of about 6″ of snow last night, this morning we started Day 2 of our MCPA (MN Chiefs of Police Assoc.) CLEO (Chief Law Enforcement Officer) Academy. Our first session today was led by Neil Melton, the Executive Director of the MN POST (Peace Officer Standards and Training) Board. I’ve known Neil for years and his presentation presentation is always well received and informative. Following Neil’s presentation the class will receive instruction on Internal Affairs, Emergency Management and Diversity. Yesterday’s classes included CLEO Certification, Chief Transitions, Leadership and… Personal Health and Fitness. One of these days I need to figure out how many years I’ve been attending these academies. I do know it has been quite a few years and at 4 per year I believe I’m well into double digits of academy attendance. That being said, my role has changed and evolved as I follow the basic tactical plan of public safety chaplains: Show Up, Stay Out of the Way, Be Helpful. 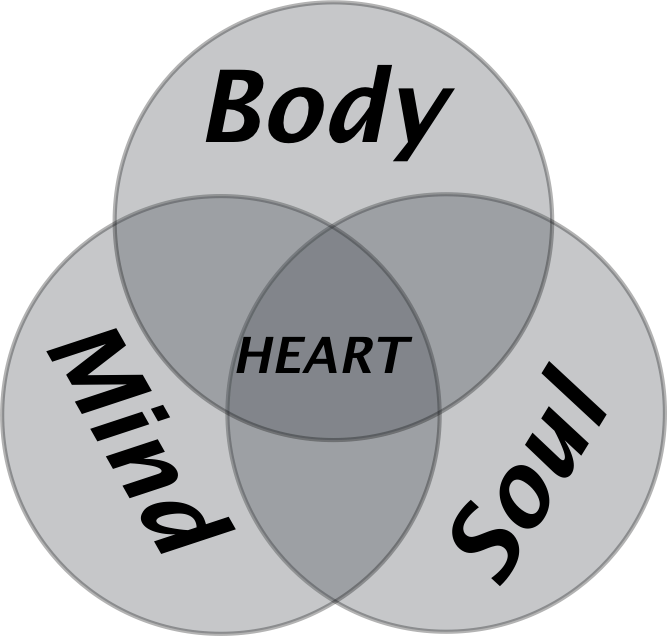 Three Components of Life – Body, Mind and Soul – Physical, Intellectual/Mental and Spiritual. In this first session I challenge the class to take time during the week to see how the training they receive impacts their Physical, Intellectual/Mental and Spiritual Health. Then on the last day of class I get another 30 minutes to review how the academy has impacted their personal and professional health. The last thing I do is give them a few simple exercises to help them in the long term development of their spiritual health and fitness. The thing that I most appreciate about this week of training is the relationships that develop. It is through theses relationships with classmates, instructors, staff and themselves, that the spiritual health of all involved is most nourished. Oh yeah, and we got more snow..